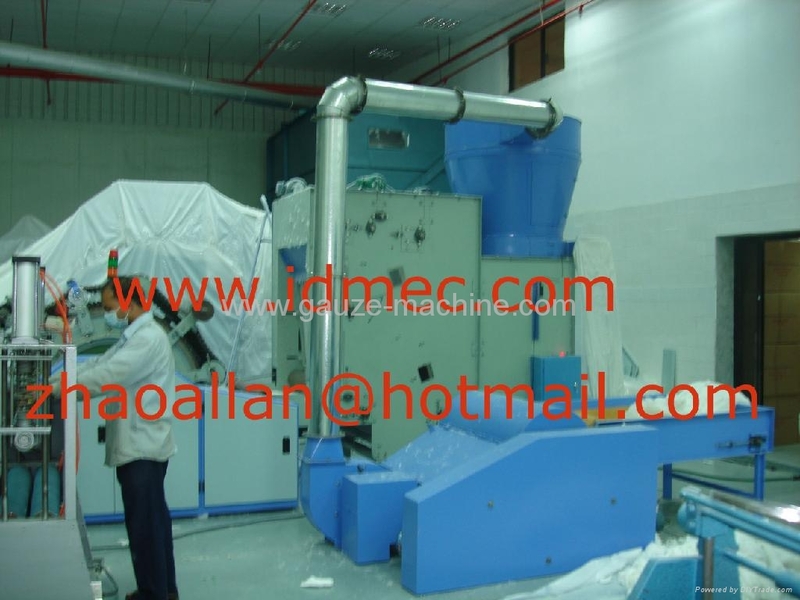 This machine is used to open the compressed absorbent cotton. The cotton will be fed to the Cotton Feeder by compressed air. And there is an dust-collector included. 3- Feeding plate length: 1 meter.